A training program needs to educate operators in how to interpret information and how to act on the information and most importantly communicating the information to who needs it. A dialog in the control room needs to pass on information then feedback either verbally or from reports allow the operator to learn if their actions were helpful. Capabilities of the machines and controllers need to be known. Warm up schedules and sequences need to be followed to avoid equipment damage. Basic properties of steam, water, energy need to be known to help interpret information. Basic math helps with analysis of operation. Corporate knowledge of the best practices used in the industry for machines in the plant helps refine the operator skills more readily. Osmosis is often used termed as part of the training in any plant. Its all good if the operators and administators have good corporate knowledge of the plant and are providing feedback when needed. The SA is a generic simulator for training of entry operators. With the SA they can learn the nomenclature terms layouts interconnections and interactions of processes and controls and safety devices. The students should be to be able to readily communicate their understanding of the process. The generic simulator training time would about 30 precent of the training program. The suggested training program connects existing training programs together. The program extends and supplements your existing program with the goal of tying the fundamentals into tools that the operators use in operation. Training needs to have team building elements to help with the goal of well-trained operators who work together to maintain a safe and efficient operation and are able to recover from system upset. Situational analysis is distilled into system analysis when used with the SA simulator. Ties into employee evaluations and plant time. The trainers supplement the fundamental tracts with additional machine specific physics and practical operation details when using the SA, a plant specific simulator, or in the plant. Team training helps in defining the tasks to done by each operator as a team. Training programs for mature operators should revolve around 2 years to retouch the basics and refine advanced skills. Here a generic simulator may help reinforce the lessons. The Stand Alone simulator is designed for rapid deployment. By reducing the complexity of a simulator the model can be started readily. For classroom usage with new operators the instructor leads the class through a session using a SA program on a projected screen. The students mimic the keystrokes on their machines to gain hands on knowledge. Or the instructor can use VNC technology to remotely view a student's session. 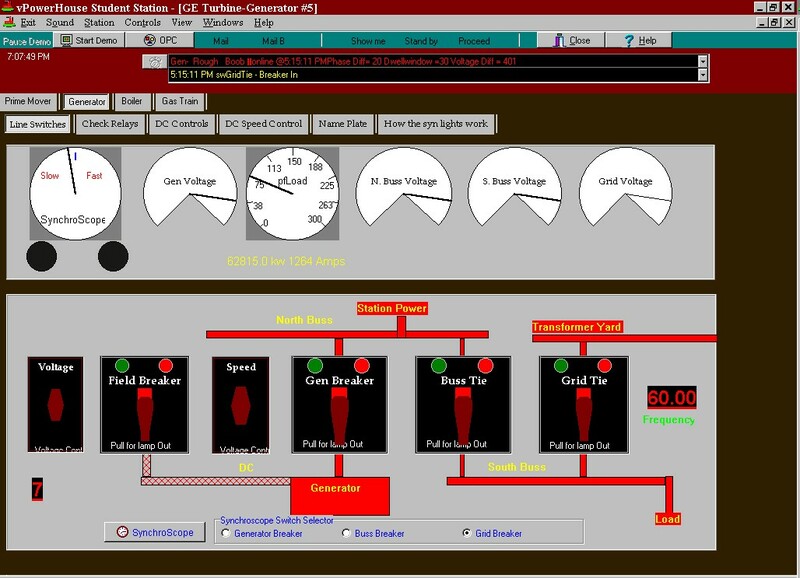 The simulation provides basic plant screens, trending displays, and control tuning for the novice. For advanced training with seasoned operators the SA allows operator interaction out of the control room setting. SA advantage One The SA runs multiple units allowing the students to learn the interaction of two units. SA advantage Two Team building. The operators need to work together in starting the simulated plants. SA advantage Three Extracting plant specific information. All the nuances of a specific plant are surfaced as operators comment on the interlocks, procedures and other differences between their of the SA models. SA advantage Four The SAs simplicity allows operators and instructors to focus on learning their plant and operation rather than the skill of the instructor to manipulate and match a plant specific simulator to the plant. Testing and refining each operator's knowledge of standard operating procedures. Simulating malfunctions without chance of harming running equipment. Planning, practicing and drilling emergency operations without compromising plant operation. Training operators away from running equipment, yet on site. Stressing the operator with multiple simulated malfunctions. Giving all operators the same chance to learn the plant, regardless of when they work. The complexity of a power plant needs operators who are proactive and not reactive. If operators can see farther down the road they can avoid "wrecks" to reduce equipment repair costs. The simulator has been designed from first principles of boiler operation, providing realistic response. interlocks can be disabled for easier use. 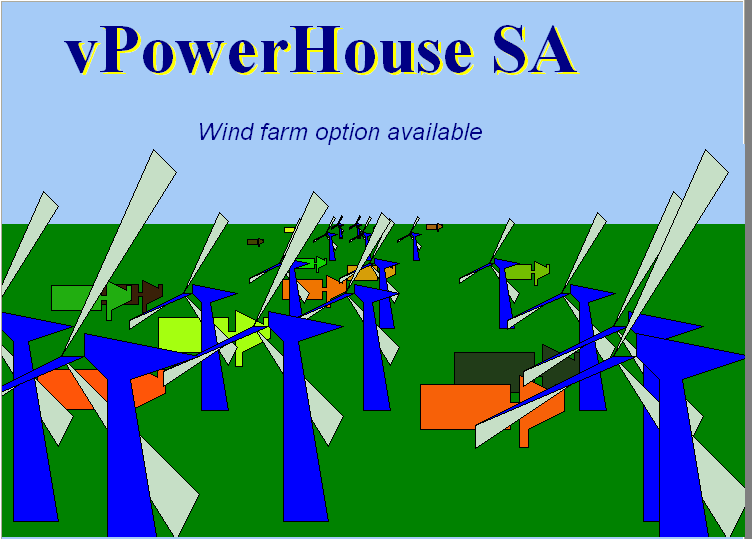 The SA comes with a plant consisting of two turbine driven generator sets. These units are simplified with a reduced number of tags and logic to ease startup of the simulation. The steam turbine generator ST7 has a boiler with a duct burner. A simple combustion turbine CT6 included to allow islanded operation. The program allows ST7 to start up and be put on the line independently of the CT6 unit. This feature allows the SA900 to demonstrate load sharing between plants. Switching operations: The SA nominal local load is 50MWb on the South Buss the North Buss is station power--about 5 MW. When the SA900 is in demo start mode the starting routine is automatically gone through the resulting in the machine on line and the North buss is charged. The operator is prompted to close the South buss breaker to carry load. This will increase the unit loading to 55 MW. The operator can start another machine to help carry this load. Since the buss is hot the operator needs to synch in this machine. This portion of the program would show that the local system speed can change when not connected to the grid but the frequency becomes more stable. Contact us to learn more about vPowerHouse. There is also an online help section for users of the program. vPowerHouse is a registered Trademark. © Copyright 2013 Patrick Foley All rights reserved.